1. Combine mirin, soy sauce and water in a deep dish with cover, this will be our simple marinades. 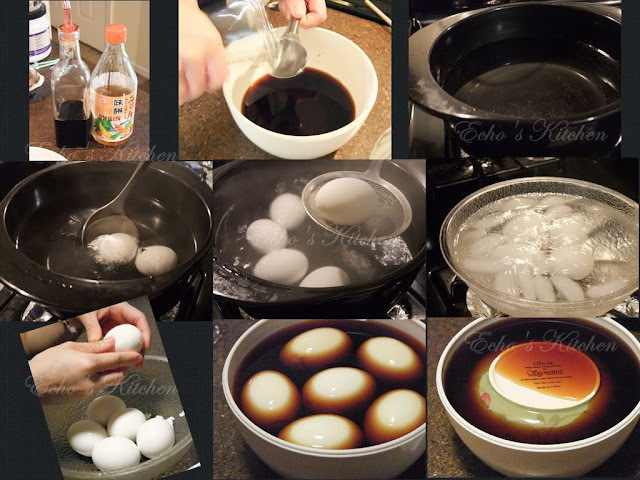 If you have the Chinese style master sauce (Lao Lu/Lou Shui/老卤），you can use that as your cold marinates, just remember not to use it hot or warm, the marinates should be cold, we do not want the eggs cook further in marinates. 2. Bring 1.5 litres of water to boil, turn the heat down, using a slotted spoon/strainer or ladle, slowly and gently lower the eggs into pot, once all of the eggs are in, turn the heat to high and cook without lid for exactly 6 minutes (5 for room temperature eggs). Switch off the fire, wait for 30 seconds and quickly scoop out the eggs and submerged in ice bath, wait for 6 more minutes. 3. Carefully peel off the egg shells, the eggs are still soft at this point so you do want to work gently and carefully. 4. Place all shelled eggs into marinates and using a plate or sauce plate which is smaller than the dish but big enough to cover all the eggs, invert the plate to hold all the eggs down in marinates, this is to make sure all eggs are immerse in the liquid. 5. The eggs will be ready after 24 hours. 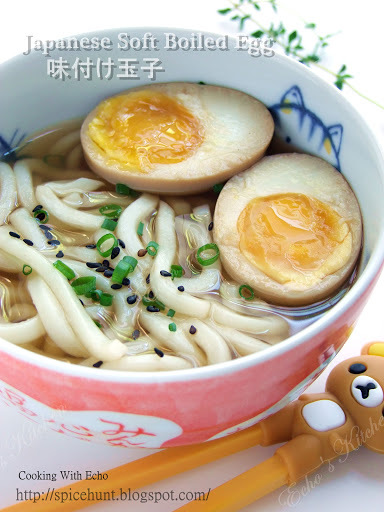 Note：Do not heat up the egg before serving, else our soft boiled egg will turn into hard boiled eggs!